"A work of divine justice invariably presupposes a work of divine mercy as its foundation...mercy is present from the very beginning of every work of God." 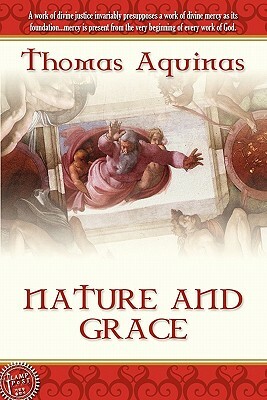 -Thomas Aquinas This volume presents the view taken by Thomas Aquinas of the moral and spiritual world in which we live, and of the conditions of man's self-realization which are consequent upon it. The final end of man lies in God, through whom alone he is and lives, and by whose help alone he can attain his end. Lamp Post is proud to present some of the finest Christian literary works of all time-writings that have affected the Church, touched the hearts of its leaders, and helped shape Christianity for two thousand years; timeless books that have endured and are deserving to be included among the Christian Classics.